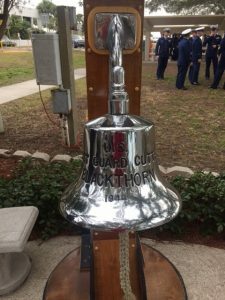 The Tampa Bay Council of the Navy League was honored to support our Coast Guard family on Friday January 27, 2017. 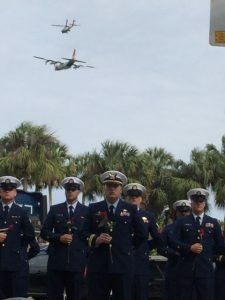 The annual Blackthorn Memorial program was held at 2PM that day to honor and remember those brave Coast Guard members who sacrificed their lives in the line of duty during the Skyway Bridge tragedy. 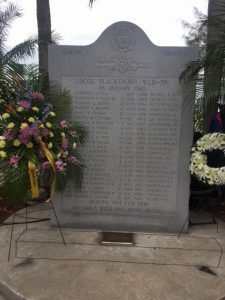 Many of us who were local to the Tampa Bay area remember that day all too well. 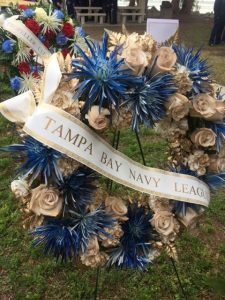 Your Tampa Bay Council of the Navy League as well as the Sarasota Council of the Navy League was there to show support and provide a wreath for the memorial service. 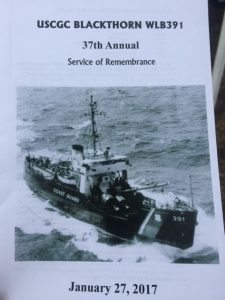 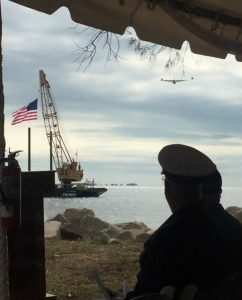 The program included an aerial salute fly over from the local Coast Guard Stations, the reading of the names and bell rung, a rose placed upon the memorial, bag pipes and a gun salute. 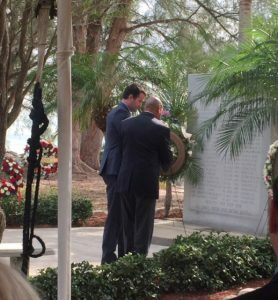 It was a very moving day. 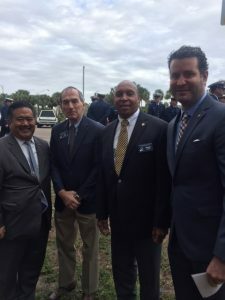 Your contributions support these events and we thank our membership for your support.